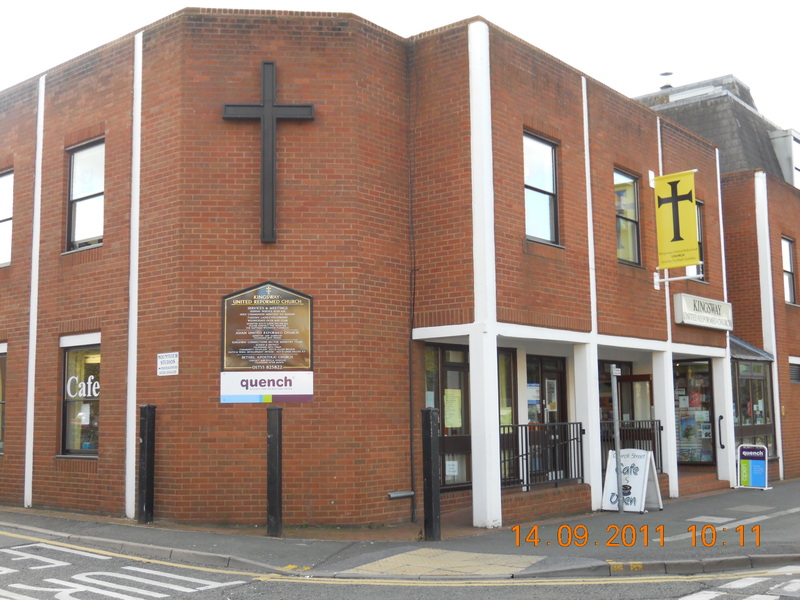 Kingsway United Reformed Church in Slough is one of three churches in a joint pastorate in Slough; the other two churches are Trinity United Reformed Church nearby in Windsor Road and St Andrew’s United Reformed Church in Richings Park, Iver. The United Reformed Church came into being nationally over 40 years ago from a union of the Congregational and Presbyterian Churches, later joined by the Churches of Christ. The old Congregational church on the site in Church Street was rebuilt over 30 years ago with the aim of creating a centre that could serve the local community in a variety of ways. The successful development of this aim can be seen in the wide range of groups that now use the premises and provide a service to all sorts of people. Our congregation comes from all over the world and all ages. Our minister of the joint pastorate will be leading worship at 11am on the first and third Sunday of each month, with different lay preachers leading on other Sundays. Our worship is normally based on a simple printed order of service that enables and encourages everyone to play an active part. We have a good number of children ranging widely in age and some services are Family Services designed for all age groups, but normally the children enjoy themselves learning about our faith in a variety of Junior Church activities. Together we try to grow closer to Jesus through studying his life and teaching, and to serve him in all we do as individuals and as a church, by serving the needs of the people around us. We are an inclusive church and we welcome everyone. We commit ourselves to sharing the Good News of Jesus Christ in word and deed. working closely with other churches and organisations.